We provide a design that gives strength to the sense of arrival and entry of the school, becomes a source of pride for students, incorporates sustainable design principles, improves safety and security, and improves accessibility for the disabled. 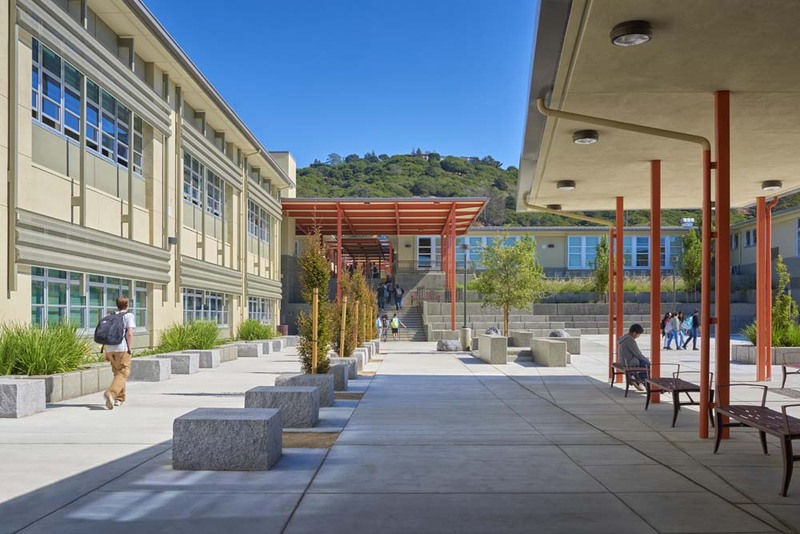 Within the West Contra Costa Unified School District (WCCUSD), this middle school settled into the heart of El Cerrito; and was part of The Collaborative for High Performance Schools (CHPS) movement, which inspired Gates and Associates to design outdoor spaces which would meet the needs of the growing school population. The park interface setting of the school campus posed unique issues which included grading, accessibility and stormwater management, all addressed in our design. 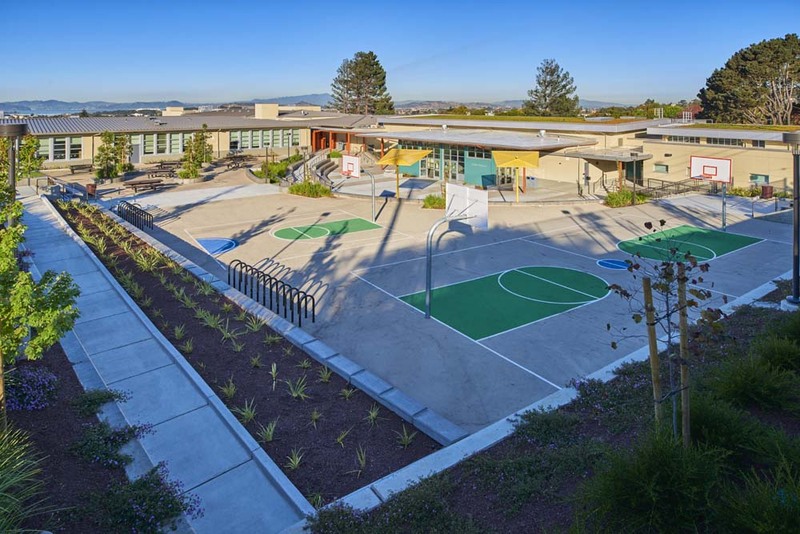 With the school’s grand opening, it introduced the largest green roof in California. These LiveRoof benefits include additional insulation and lower electrical costs associated with heating and cooling, and much more. 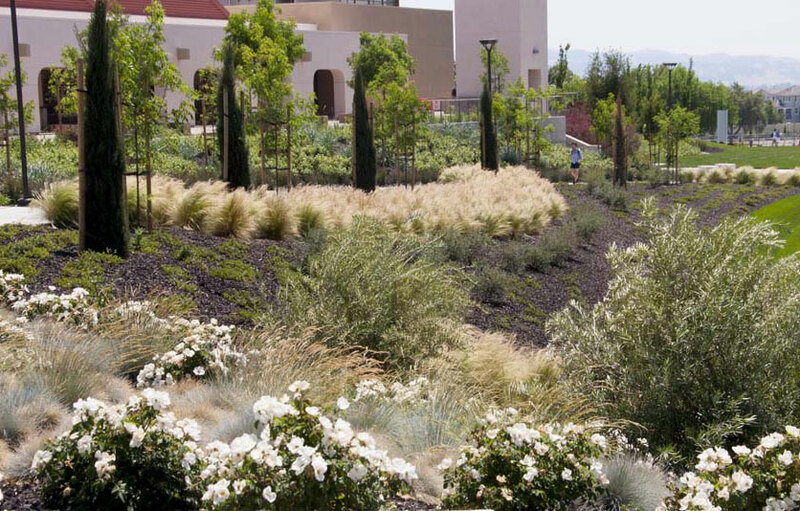 After studying the campus use pattern, and observing paths of travel on campus, Gates and Associates created the master plan for the Central Green. 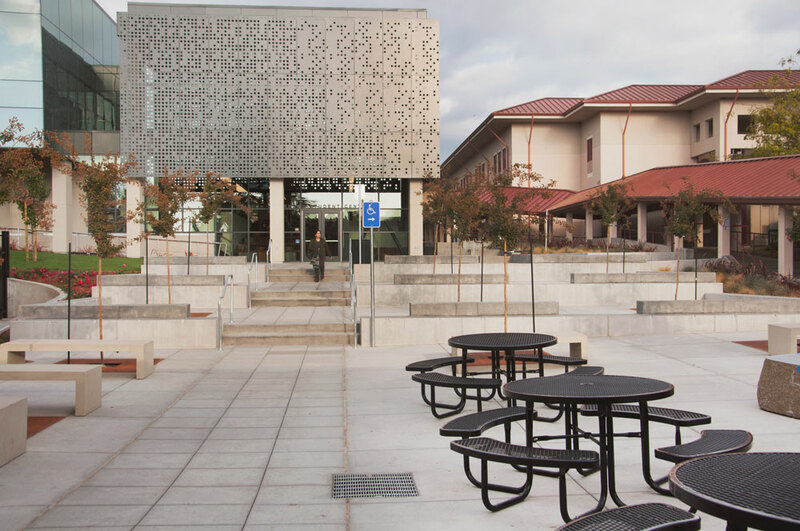 This project seamlessly integrated existing buildings within an ever changing landscape of new construction – all in order to provide students with new outdoor facilities and a unifying spine through the campus core. 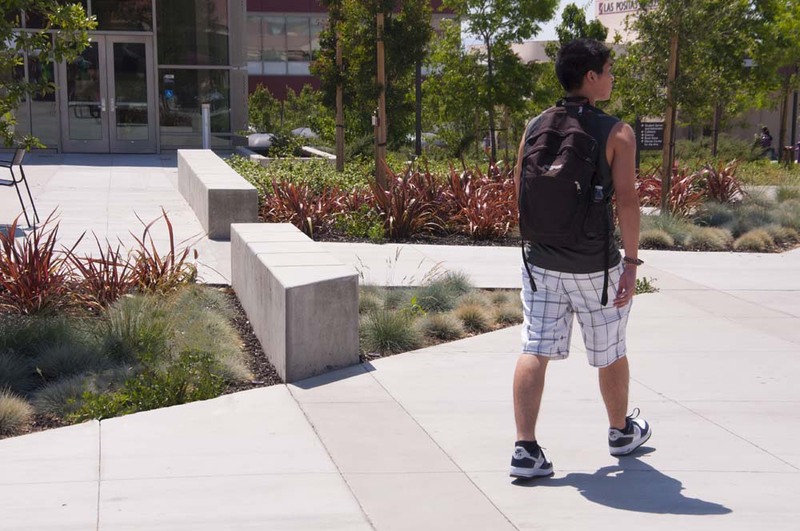 We created photosimulations of different outdoor rooms and plazas, then lead a team of electric and civil engineers to provide $2M of campus improvements for student plazas, pedestrian boulevards and accessibility, all enhancing the circulation and use of space. 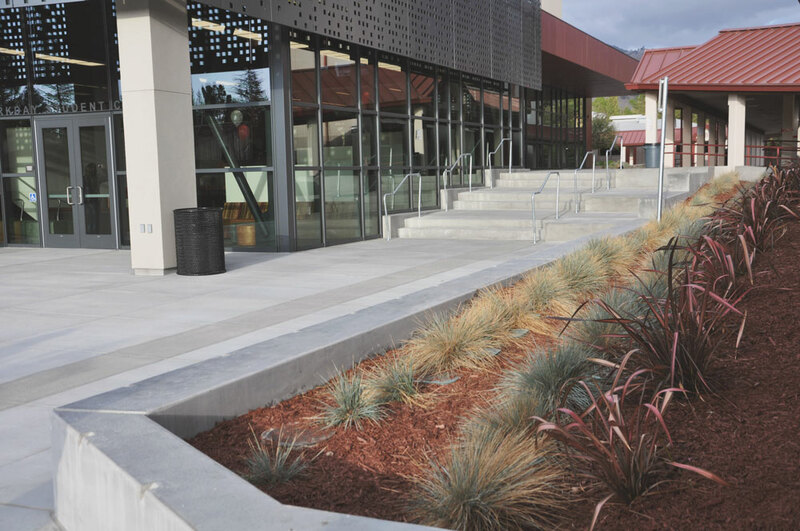 The new Monte Vista High School Library features an innovative courtyard design that encourages student gathering and event staging. 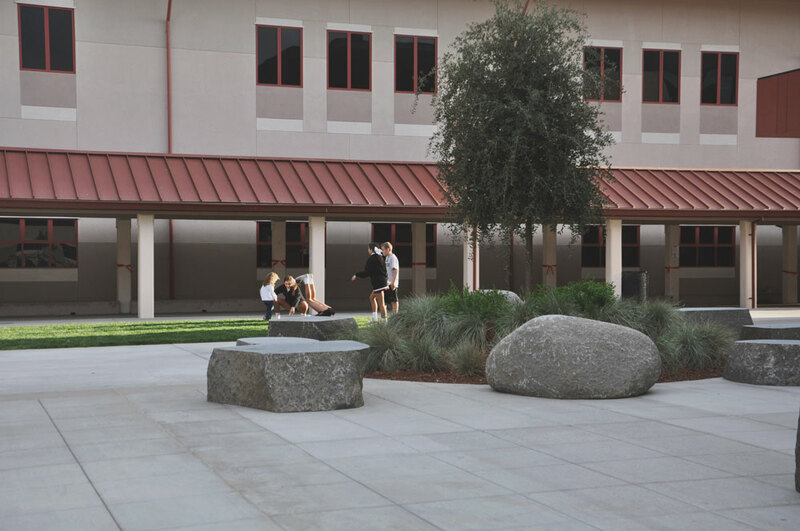 Highlights include a large screen facing the courtyard for presentation viewing, stepped seat walls for increased student interaction, locally sourced natural rock seating and trees in seating areas for shade. 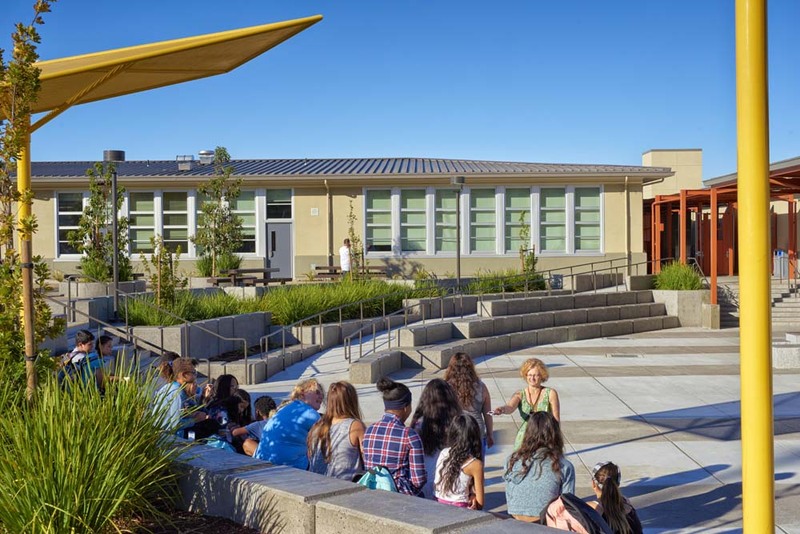 The scope for this project included upgrade, repair, replace, modifications or construction for site improvements, as well as paths, sidewalks and walkways, canopies, exterior shade structures and outdoor learning spaces. 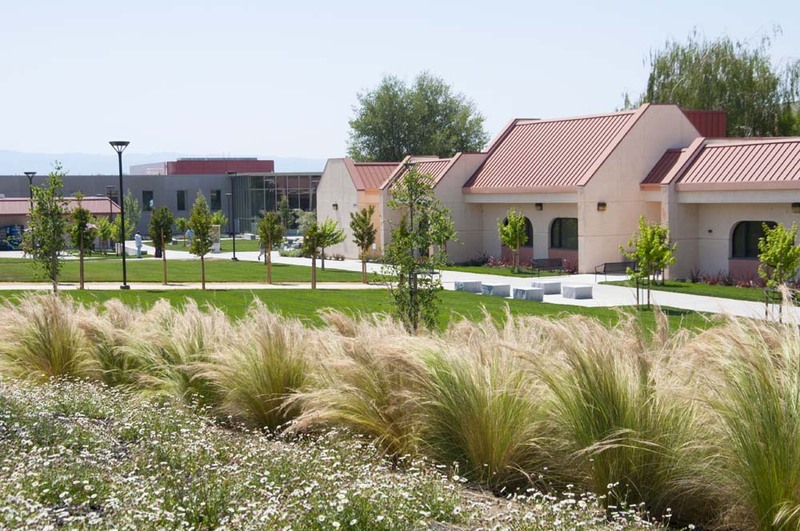 Emphasis will be placed on outside gathering and eating areas, benches, landscape improvements, irrigation and drainage.